The Middle Tennessee Blue Raiders (3-5, 1-3) postseason hopes are slowly, but surely slipping away. In order to become bowl eligible, Middle Tennessee State University has to win three of their last four games. Luckily for them, the task isn’t quite as daunting as it seems with their next two opponents (UTEP and Charlotte) having a combined record of 1-15. Should the Raiders find their way into the postseason, this would mark the fifth time this decade they have accomplished the feat. That mark is more than any other decade in program history (including I-AA playoffs). Below is a break down of what has to go right for the Raiders to reach their seventh bowl game in the FBS era. In a season where a lot has gone wrong, the bye week can help change one of the biggest problems that have plagued Rick Stockstill’s program this season: injuries. The injury carousel has gone on and on for MTSU this season, particularly on the offensive side of the ball. Before the season started, projected starting running back Terelle West went down after he had arthroscopic knee surgery. After returning to action against FIU, West seemed to be a step or two slower than usual. In week three, prolific quarterback Brent Stockstill was lost to a cracked sternum. Although he has been throwing more as each week passes by, it is still uncertain that the redshirt junior will return this season. Arguably the biggest weapon on the Middle Tennessee offense has gone down not once, but twice this year. After a 34-3 loss to Minnesota, Richie James missed the next three games with an ankle injury. James returned against the UAB Blazers, but hurt his shoulder against Marshall and won’t see any more action this season per Stockstill on Tuesday. 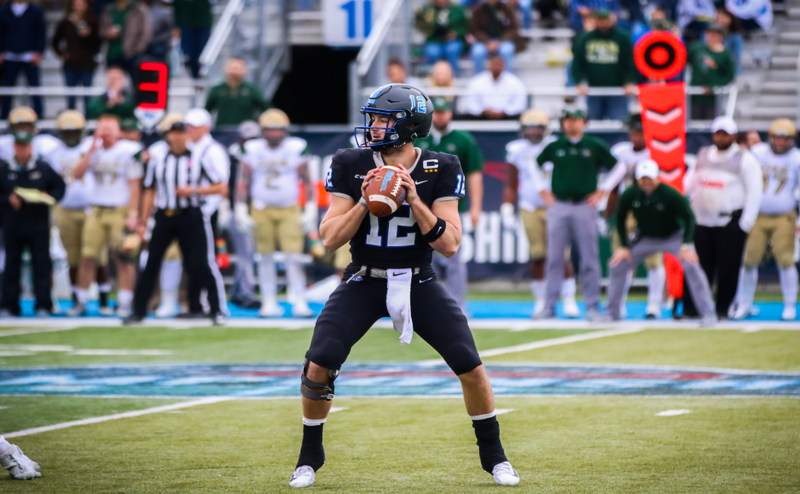 Backup quarterback John Urzua suffered a concussion in the Marshall game and after consulting with team doctors, he has decided to step away from football forever. Along the offensive line, Chandler Brewer, Lucas Hamilton and Connor Trent have played with lingering injuries all year. Wide recievers Shane Tucker and Isaiah Upton both missed time earlier this year. Defensively, defensive end Walter Brady (concussion), defensive tackle Malik Manciel (undisclosed) and cornerback Mike Minter (abdominal strain) were lost earlier this season for a period of time as well. Officially, there are only four Raiders left on the injury report: Brent Stockstill (sternum), Richie James (shoulder), Connor Trent (undisclosed) and John Urzua (concussion protocol). If the Raider offense can get some key pieces back to one hundred percent, things should improve throughout the rest of the year. It’s said quite often in the football world that the team that makes the least amount of mistakes will win the game. 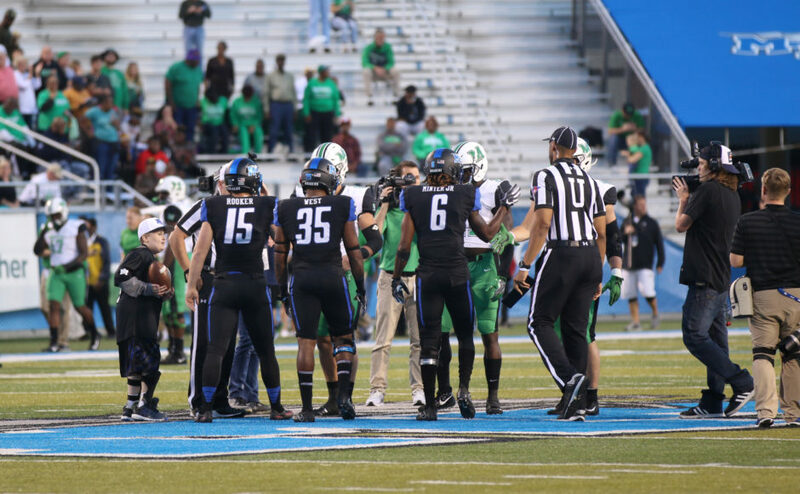 So far this season, the Blue Raiders have turned the ball over a total of 16 times for an average of two per game. Middle also has a total of 47 penalties for 427 yards, for averages of 5.8 penalties per game and 53.4 penalty yards per game. Defensively, the Raiders have forced nine fumbles on the year, but have only recovered two of them. They also only have three interceptions, one of which came from a defensive lineman. A few turnovers from Urzua have come at crucial moments this season. Down by two possessions against FAU with just over eight minutes left in the fourth quarter, Urzua was picked off by cornerback Raekwon Williams. On the ensuing FAU possesion, they put the game out of reach with a touchdown. 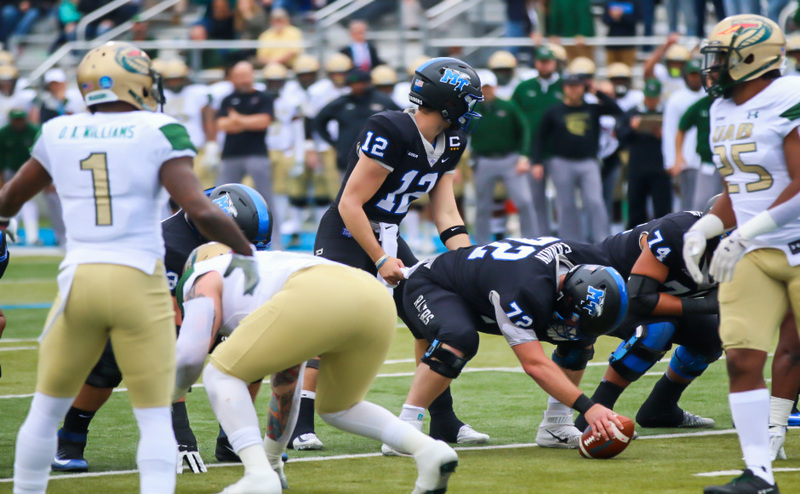 In the two-point loss to UAB, Urzua tossed an interception with just over two minutes left in the game on a drive that MTSU only needed three points out of to win. Going forward, Kyle Banks playing relatively turnover-free football will be paramount. If the offensive line can protect Banks the way they protected Urzua in the FIU game when they gave up zero sacks and had no official qb hurries allowed and help the MT rushing attack be productive like it was against the Panthers (176 yards and three touchdowns), then the offense can has a solid chance to win. 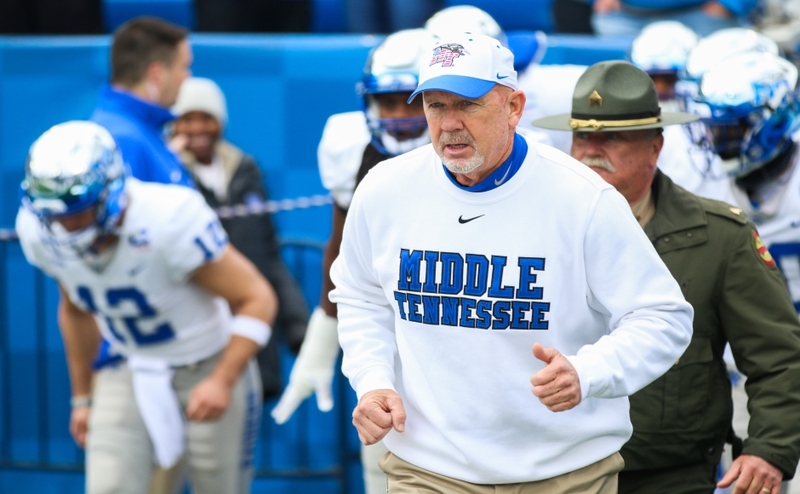 Although the Middle Tennessee defense has played leaps and bounds better than they did last season, their inconsistency has hampered them in some games. 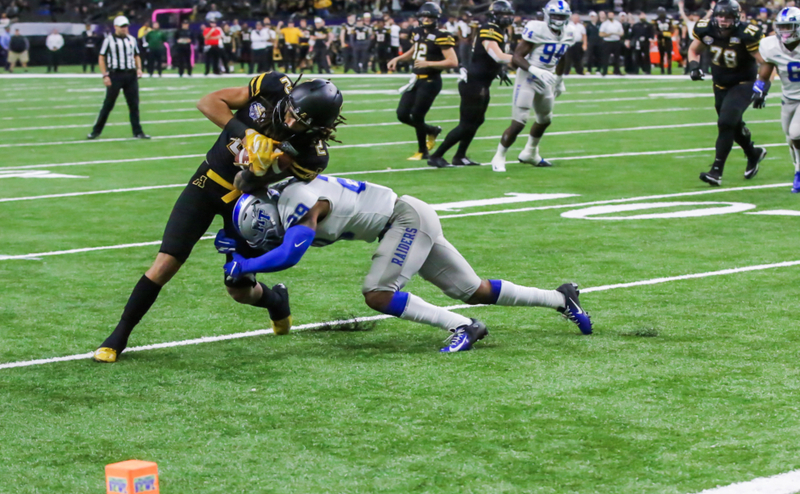 Through eight games last season, MTSU had given up 3o or more points in a game a total of five times as compared to just three times this season. In their five losses, Middle Tennessee has generated just one turnover which was a Minter interception against UAB. They have also given up an average of 389.8 yards per game (200.4 rushing ypg, 189.4 passing ypg) in losses this season. In their wins, they have given up 299.3 yards per game (70.6 rushing ypg, 228.6 passing ypg). Middle Tennessee returns to action this Saturday against the winless UTEP Miners at Floyd Stadium. Kick-off is scheduled for 6:30 p.m.